ICA's permanent collection, exhibitions and programs present works by established artists such as Louise Bourgeois and George Segal but there is an emphasis on emerging and under-represented contemporary artists. Although ICA is a young museum, it has an involved history. In 1996, the Museum of Contemporary Art opened in the City of North Miami. In 2014, following the failure of a bond referendum and the departure of the museum's director, its board sued the City for the right to move the museum to a new location. Under the settlement ending this litigation, a new board appointed by the City would manage the Museum of Contemporary Art at its existing location but much of the art collection would go to a new entity, which became ICA. 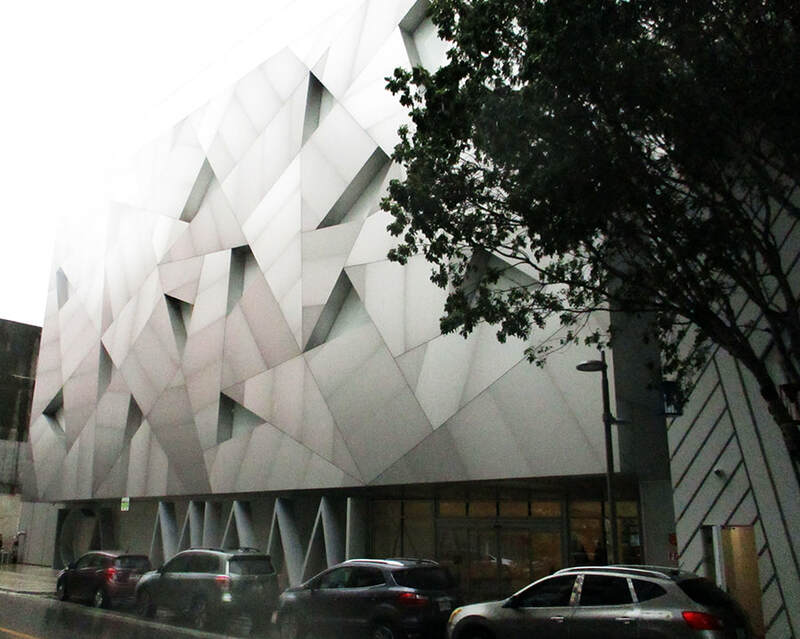 To begin, ICA was housed in a building that had previously been used by the de la Cruz Collection. However, in 2017, it moved into a building that had been purpose-built for it just up the street from the current home of the de la Cruz Collection. ICA's home is a three-story building designed by the Spanish architectural firm Aranguren + Gallegos Arquitectos. The building is 37,500 square feet of which 20,000 square feet is exhibition space. It has a distinctive metal facade recalling the look of a magnet - - a play on the idea that the museum seeks to act as a cultural magnet for the area. The ground floor of the building includes galleries in which rotating exhibitions drawn from ICA's permanent collection are shown. The gallery space on the second and third floors is used for special exhibitions that include works on loan from other collections. 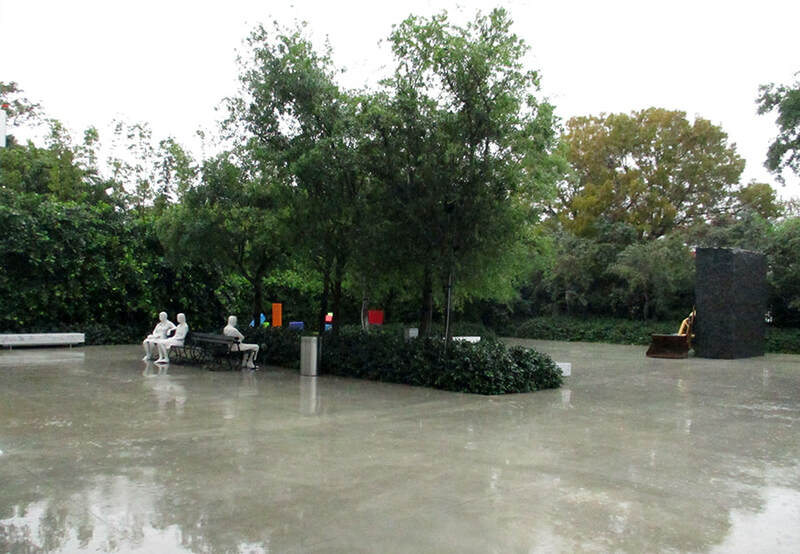 In back of the building is a 15,000 square-foot sculpture garden with contemporary works shaded by trees. For more information about visiting, see ICA Miami's website. ​Above: ICA Miami's distinctive front facade.